We are committed not only to academic achievement but also to physical and emotional development. It is with great pride and pleasure that we welcome you to our school. 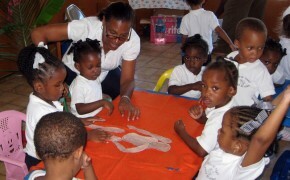 Our pre-kindergarten caters to children from ages 18 months to 4 ½ years. 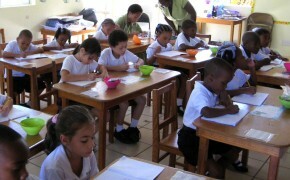 Elementary or Primary school includes Kindergarten (Year 1) to Grade 6(year 7). Our mission is to provide all students with a broad education in a dynamic and nurturing environment. It is with great pride and pleasure that we welcome you to our school. BONNE TERRE PREPARATORY SCHOOL LTD, was established in September 1992 and is the oldest private school on the north of our beautiful island of St Lucia. 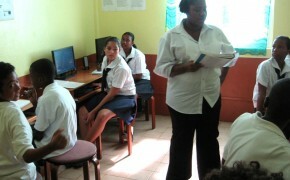 Our school is located in the Bonne Terre, Gros Islet, in the north of the beautiful island of St Lucia. © Copyright by Bonne Terre Preparatory School. All rights reserved.